Bertha Lewis was the terminal Chief Executive Officer and Chief Organizer of ACORN, the largest poor people's organization in U.S. history. Appointed in May 2008, Lewis oversaw the operations of its 400,000 strong membership, which was active in over 110 cities across the country. A 16-year veteran of the organization, Lewis was previously Executive Director of ACORN’s New York affiliate and a founding Co-Chair of the New York Working Families Party. 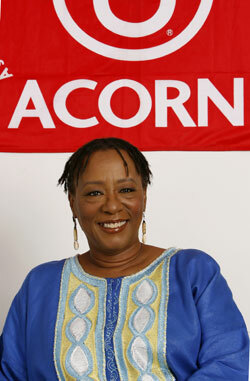 After Lewis presided over the collapse and bankruptcy of ACORN in 2010, she founded the Black Institute. In a March 25, 2010 address to the Young Democratic Socialists Lewis openly praised socialism and referred to the Tea Party as a "bowel movement." A native of Philadelphia, Lewis has a theater and housing activist background, including work with the Banana Kelly Community Organization and ACORN Housing Corporation’s NYC Loan Counseling Program, where she served as the Director. In that capacity she helped to negotiate landmark agreements with major banks under the Community Reinvestment Act. The mortgage and budget counseling program helped put hundreds of low-income New Yorkers into their first homes. In 1995 she joined New York ACORN as the Brooklyn ACORN Head Organizer. Lewis is one of 10 national recipients of the 2004 Citizen Activist Award of the Gleitsman Foundation for her work in public education reform. Ms. Lewis received the 2005 New York State Black and Puerto Rican Legislators, Inc. Leon Bogues award for community and political activism. Ms Lewis was named by Crain’s magazine as one of the 100 Most Influential Women of New York 2007, and one of the “ Influentials” in politics by New York magazine 2006. 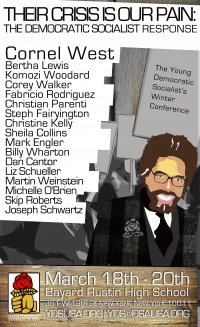 The New York Working Families Party 2000 Convention was held at the Desmond Hotel, March 26. There were sizable delegations from ACORN and Citizen Action. In February 2004, the Communist Party USA convened a conference in New York to focus on the 2004 elections. Guests at "build unity, take back our country in 2004 - defeat Bush and the ultra-right" included NAACP NE regional youth coordinator Diallo Shabazz, New York City NOW president Rita Haley, United for Peace & Justice rep. Hany Khalil, New York Working Families Party co-chair Bertha Lewis and Massachusetts political aspirant Martina Cruz. poetry was read by two young women Naima Penniman and Alixa Garcia. Jon Kest, who runs day-to-day operations for ACORN is the WFP secretary. Bertha Lewis, a WFP co-chair and the executive director of ACORN’s New York offices. Bob Master, who serves as party co-chair and the political director of the Communications Workers of America. Mike McGuire, resigned as WFP treasurer in August 2009. Dorothy Siegel, replacement Treasurer. Siegel is the chair of the Working Families Party South Brooklyn Club and is already the treasurer of the Working Families Organization, one of the many additional affiliates of the WFP. Siegel is employed at the Institute for Education and Social Policy at New York University. Dan Cantor, WFP executive director and co-chair . WFP spokesman is Dan Levitan. "You know, that's no light thing to do. To actually say, "I'm a Socialist". As you guys know, right now, we are living in a time, which is going to dwarf the McCarthy era. It is going to dwarf the internment during World War 2. We are right now in a time that is going to dwarf the era of Jim Crow and segregation. They are coming! And they are coming after you. And they are going to be brutal and oppressive. They've already shown it to you... This rise of this Teaparty, so-called movement - bowel movement in my... (laughter muffles out end of sentence) It's just blatant recovery, ripping off the mask of racism." In late 2010 New York City Democratic Socialists of America held several events to build support for the One Nation Rally. On September 16, the local organized a panel with DSA Vice Chair Frances Fox Piven, former ACORN chief Bertha Lewis, and Arthur Cheliotes, president of the Communications Workers of America Local 1180. Despite near-hurricane conditions that night, nearly 40 DSA members and friends attended. The embattled Bertha Lewis, recently attacked for her speech at a YDS conference last March, addressed the need to take the Tea Party on head first.